OK, you want pure and natural Vermont maple syrup, but you'd rather have it in a glass container, as apposed to a plastic jug or tin can. OK, no problem! Our Quart Mason Jar is filled with 32 oz. 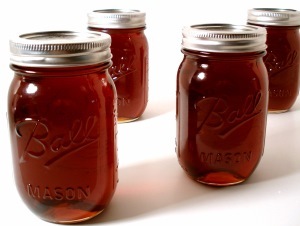 of pure and natural Grade A Amber with Rich taste maple syrup, produced in Northern Vermont. The top has a rubber vacuum seal. Makes a wonderful, non-traditional Vermont gift. 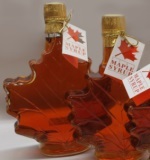 Order 4 quart glass maple syrups or more and SAVE $1/jar! Sale Price: $22.95 You Save: $1.00 (4.18%)!